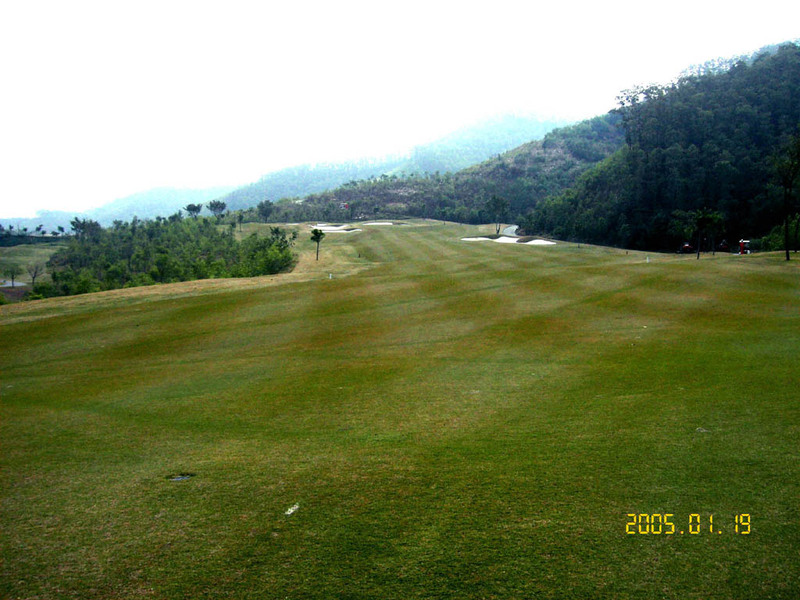 A hillside course with the moderate ups and downs. A slight dogleg to the left. Tee shot is downhill and the second & third shots are uphill. There are bushes along the left of the fairway and the fairway narrows as it gets closer to the two-tiered, narrow green. A creek crosses the fairway twice, at 200 yards from the green and in front of the green. The green is elevated. A downhill sharp dogleg to the right. The fairway drops greatly on the second shot. Long hitters can drive down to the edge of the green because of strong down slope. 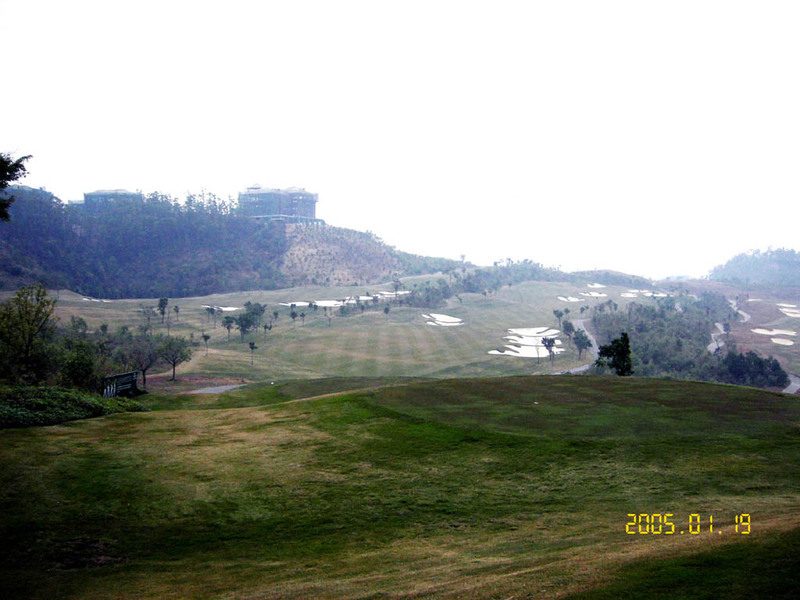 An excellent par 3 with the beautifl backdrop and natural waterfall. Bunkers and a creek surrounds green, froming an island green. The creek left and right combine if front of the green to one water fall. An uphill, slight dogleg to the right with O.B. on the right. Fairway bunkers are well positioned. The green slopes a lot from left to right. The layout of this hole is excellent except for the bunker guarding the left side of the green, which I think is not necessary. Although you can chip nicely from this bunker, the ball will easily roll down off the green because of the strong downhill slope. The tee shot is downhill and the second shot is uphill. 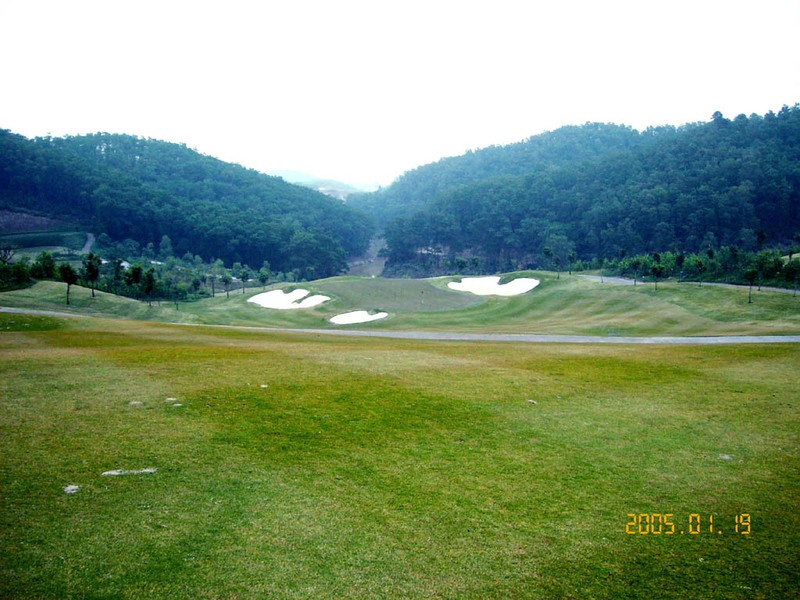 The view of the green and its surrounding area is beautiful. 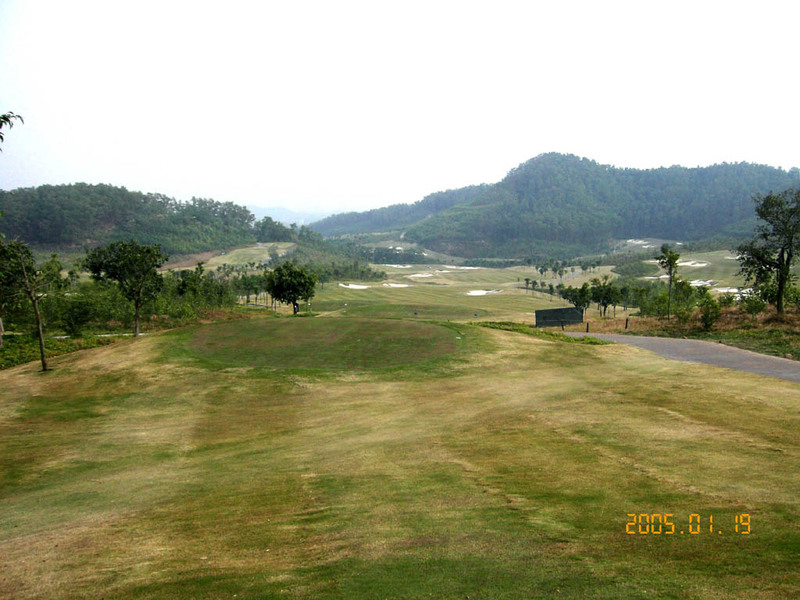 The course is one of 5 that were completed in Dungguan in 2003 and 2004. A hotel is located next to the clubhouse. 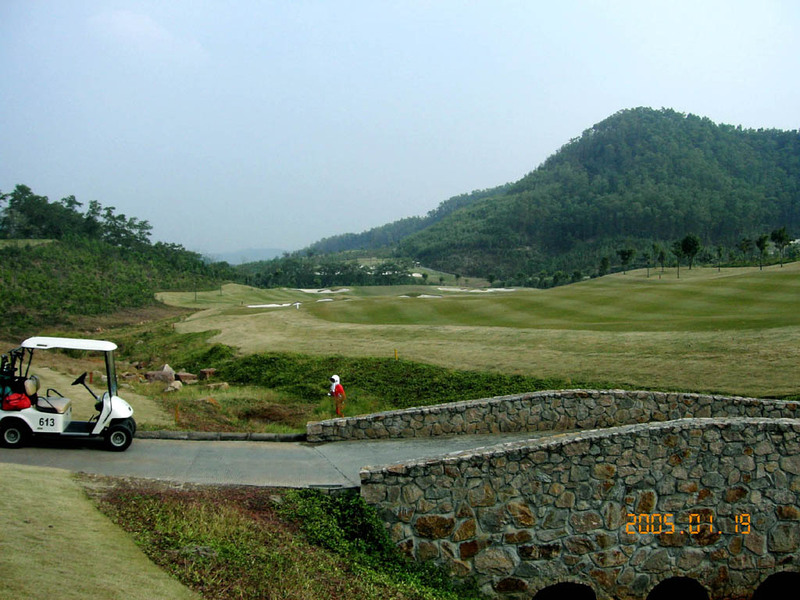 It takes 20 minutes from Shenzhen Mission Hills in by a shuttle bus. Mission Hills GC is the world’s biggest golf complex with 10 courses or 180 holes as of 2004, overtaking the huge Pinehurst resort in North Carolina, which has eight 18-hole courses. The picture shows the 10 designers who are all world-famous players or a teaching pro. The 10 courses are designed by Jack Nicklaus, Vijay Singh, Nick Faldo, Jumbo Ozaki, Ernie Els, Annika Sorenstam, Rose & Poulter, Jose Maria Olazabal, David Leadbetter and Greg Norman. 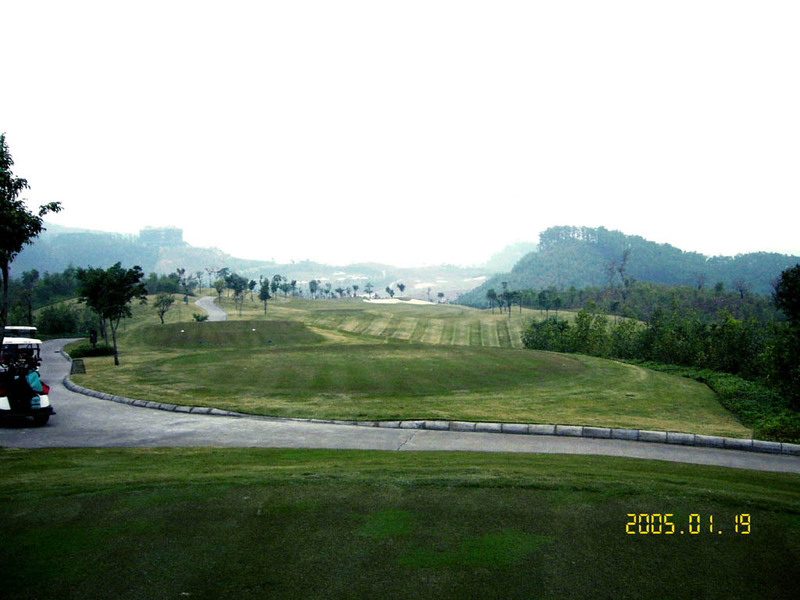 The two couses were added in 2007, Peter Dye Course and Zhang Lian Wei Couse (Par 3s course), so the club currently holds 12 curses or 216 holes. Co-designers, Lee Schmidt & Brian Curley are the principal architects behind the 8 of the 10 courses. 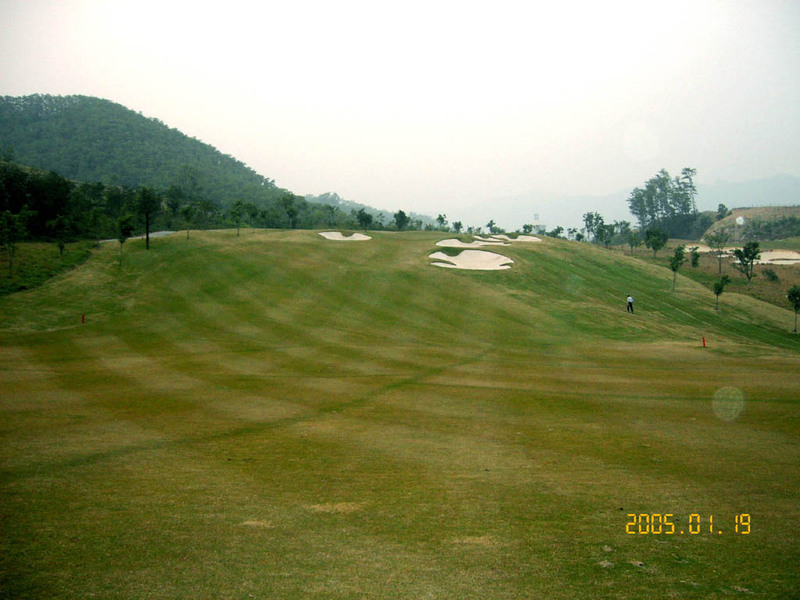 They designed the other courses in Asia, Muang Kaew GC (remodeled), Chiang Mai Highlands G＆SR, Amata Spring CC in Thailand, Grande Hamanako GC in Japan and Agile (雅居楽長江) G&CC - B Course in China. 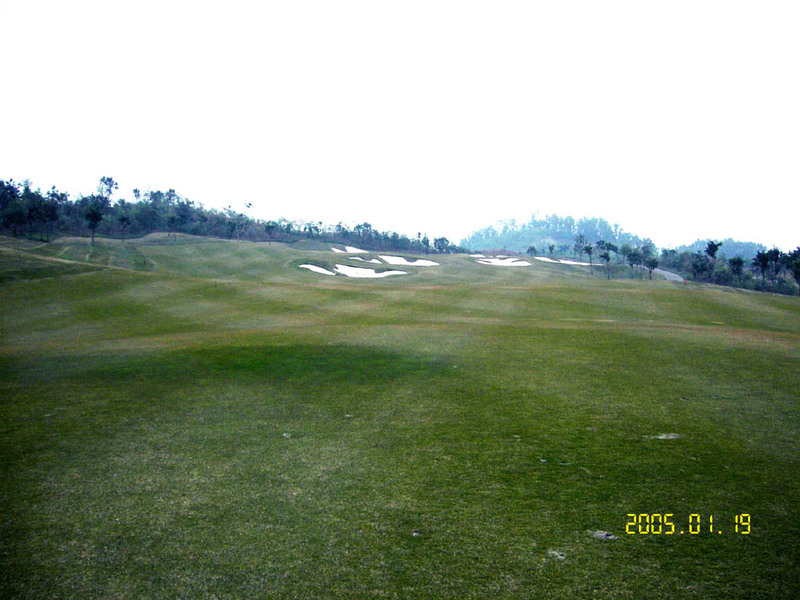 he two couses were added in 2007, Peter Dye Course and Zhang Lian Wei Couse (9 hole), so the club currently holds 12 curses or 207 holes.